The worst week ever for the so-called Happiest Place on Earth. 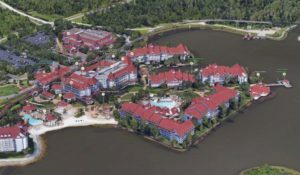 First, word came that Orlando mass murderer Omar Mateen was scouting Walt Disney World before deciding to massacre 50 people at a nearby gay bar. And now, a sheer nightmare for a family visiting from Nebraska. An alligator snatched a 2-year-old boy Tuesday night in a lagoon at Disney’s ritzy Grand Floridian Hotel. The Seven Seas Lagoon also borders the Magic Kingdom. Authorities have little hope the boy will be recovered alive. 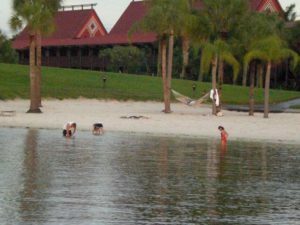 It is well-known among WDW aficionados that the nearby lagoons and lakes are generally unswimmable, germ-infested and dangerous, but Disney doesn’t do much to keep little ones from going in. A few signs on inviting little beaches weren’t going to do it. Apple revealed details about iOS 10 and MacOS, which will replace OS X. Devices that will be rendered obsolete this fall with the release of iOS 10 include the iPhone 4S and older models, and MacBooks 2009 and older. The greatest improvements apparently are in the Messaging app. Great, just as I figured out how to send “Mr. Belverdere” GIFs to all of my friends using the 4S. Are we on the verge of a market panic? Global fund managers are hoarding cash as the fastest pace since right after the 9/11 terror attacks, according to a Bank of America Merrill Lynch survey. Amid a constant barrage of troubling geopolitical news, a likely Brexit and the possibility of a Trump White House, fund managers’ average cash allocation jumped to 5.7% this month, CNN reports. The Federal Reserve will make its latest interest rate decision today, but analysts say a move to raise rates would be insane at this point.